Please post here photos of watch you're wearing. Borealis Sea Diver 300m for me today. 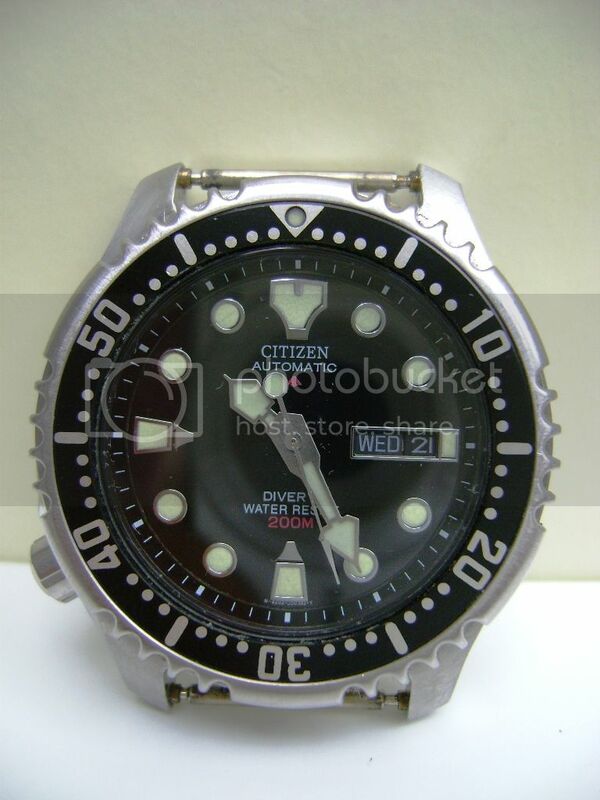 Citizen NY0040..still have not decided on which nato to wear it. 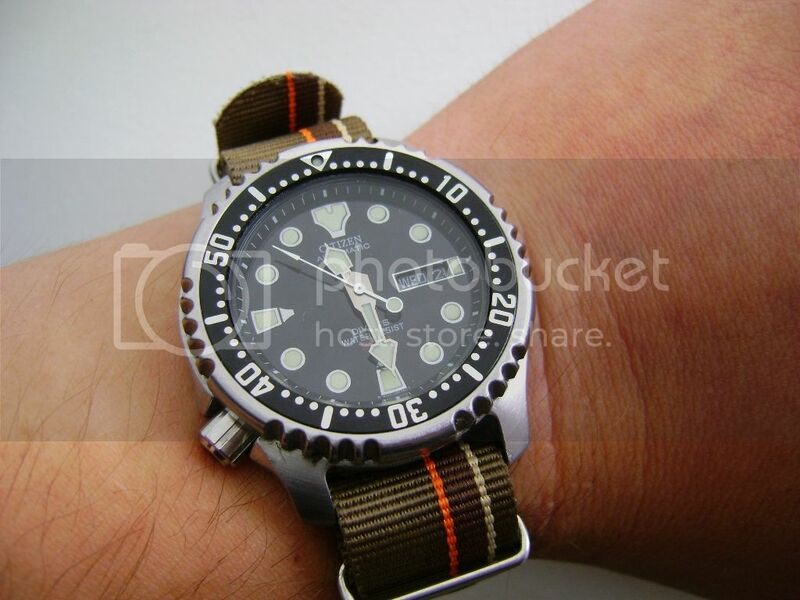 An orange or green nato would suit it well! Please post photos with your nato of choice! 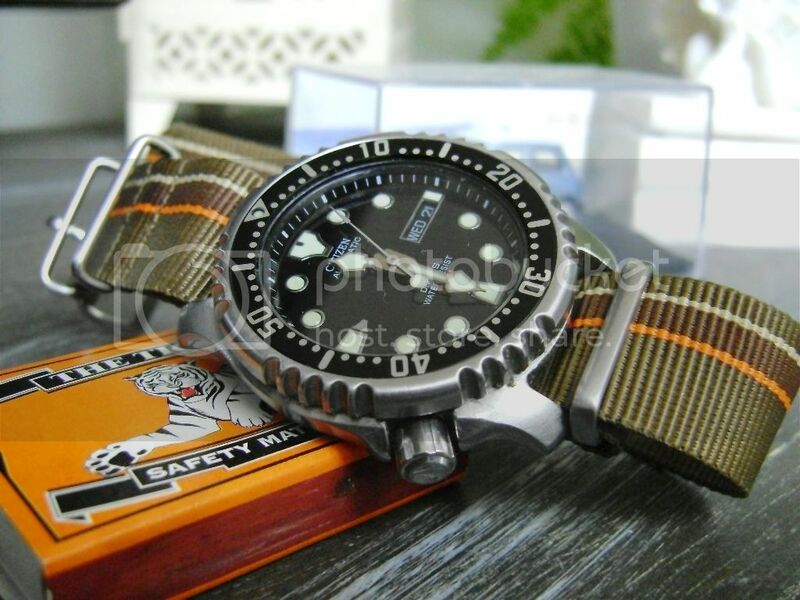 F71 nato would be ok? ..hats off C.L. Vong. stunning watch. Looks great! Green with a touch of orange! Well done! 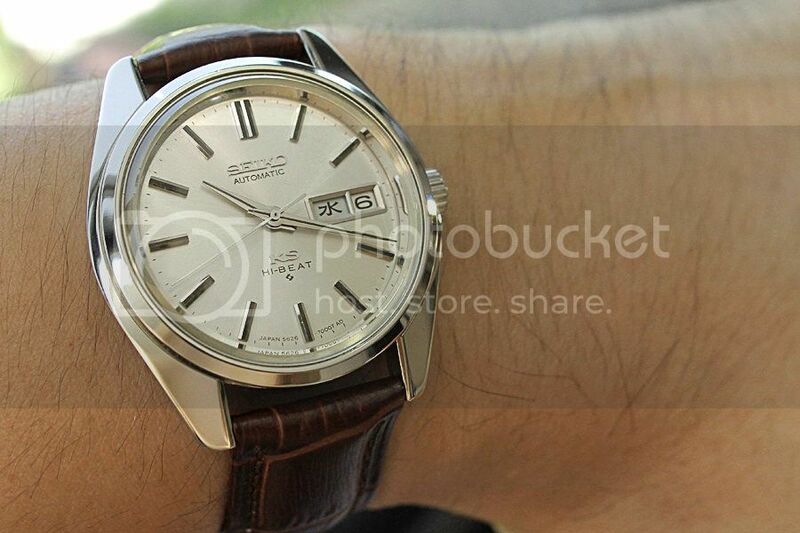 Such a wonderful Seiko! A classic for all collectors! Paul Newman style, looks classy! Anybody else having trouble seeing the pictures? Hi Mike, images are loading well to me. Could it be related with your browser settings? such an understated watches. thal line of Seikos and 5606 Lord Matics have a high grade movements hidden inside plain cases - truly a hidden gems. japanese modesty in work. If they were swiss, they would probably have "high grade movement swiss made turbo gti 16v dohc" in XXL font on dial. I'll tray another browser Thanks!! so true and you made me have a good laugh! This is my latest acquisition. 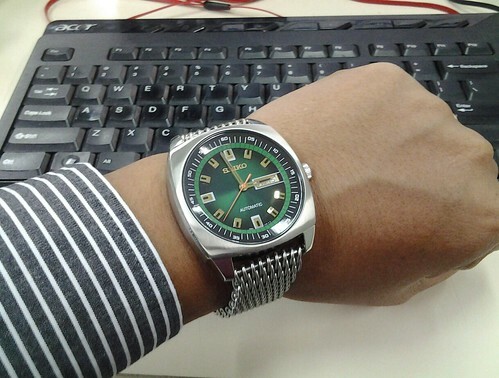 The Seiko snkm97. This was just recently released. I love retro watches.